Let’s get one thing out of the way: frozen shoulder has nothing to do with the cold! Also known by its proper name, adhesive capsulitis, frozen shoulder describes situations where your shoulder becomes stiff and immobile. In this case, “frozen” refers to how you’ll have trouble moving and rotating your arm. In most cases, frozen shoulder also comes with a healthy dose of shoulder pain too. Symptoms of frozen shoulder can begin gradually, and worsen over time. Shoulder without treatment you could be looking at months or even years of ongoing shoulder pain! Suffering from a sore shoulder? Book an appointment with our Elwood physio today! Before we explain frozen shoulder, we need to explain the mechanics of your shoulder. Your shoulder is more than just a ball and socket – it’s a complex system of ligaments, bones and tendons that work together to provide a full range of motion and hold your shoulder together. These ligaments, bones, and tendons are encased in a protective joint capsule made of connective tissue. This capsule is the perfect size for your shoulder, fitting in between your bones with just enough clearance to move freely. So what happens when this shoulder capsule becomes inflamed? Frozen shoulder can happen. That’s what. When the shoulder capsule thickens and becomes inflamed, it can swell. And when you attempt to move your shoulder, now it starts grinding and scraping against your glenoid (your shoulder socket). If that sounds like it hurts a lot, that’s because it does! Am I at risk of suffering from frozen shoulder? Frozen shoulder is thought to affect 3-5% of the population. Despite its relative commonality however, doctors aren’t 100% sure what causes it. The reason doctors are unsure what causes frozen shoulder is because many times, there’s no immediately apparent inciting incident. In many cases, frozen shoulder seems to just ‘appear’. Unlike other types of shoulder pain, frozen shoulder takes a while to kick in. Unlike a rotator cuff injury (which frozen shoulder is often misdiagnosed as), frozen shoulder takes its time. There are three stages of frozen shoulder. Why does this matter? Because each stage is different. As a result, the best course of action will vary hugely. During this stage, your shoulder capsule expands and becomes increasingly inflamed. Pain increases gradually and can last anywhere between six weeks and nine months. And unfortunately, there isn’t much you can do during this stage aside from just avoid aggravating your shoulder. Of course, that doesn’t mean you’re helpless. 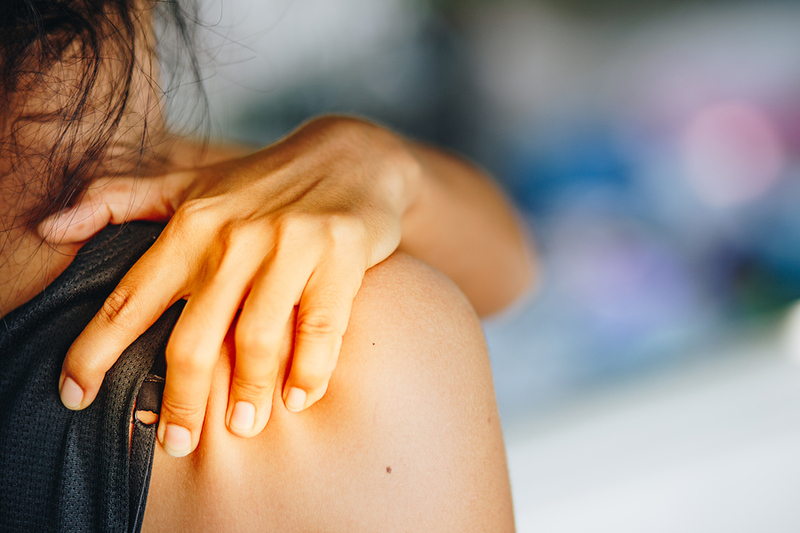 We recommend visiting your Elwood physio the moment shoulder pain starts manifesting to receive an accurate diagnosis of whether or not you’re suffering from frozen shoulder, and the best course of action from there. Think of this stage as your shoulder stabilising. During this stage, the worst pain in you shoulder subsides and your shoulder capsule turns from an alarming red to a less intimidating ‘pink’. Like the name suggests however, the stiffness continues to persist! Lasting for anywhere between four and nine months, ordinary movement can be difficult during this stage. One of the (few) good things about frozen shoulder is that it tends to resolve. Unfortunately if it’s not managed properly, that resolution can take up to 24 months! This final stage is when your shoulder joint slowly starts returning to normal. During this stage, your shoulder capsule returns to its normal size – assuming all goes well, your shoulder will gradually return to a healthy white colour and regains its normal strength and function. It’s during this stage that your shoulder typically reacts best to treatment from your Elwood physio to get on track to a pain-free shoulder. 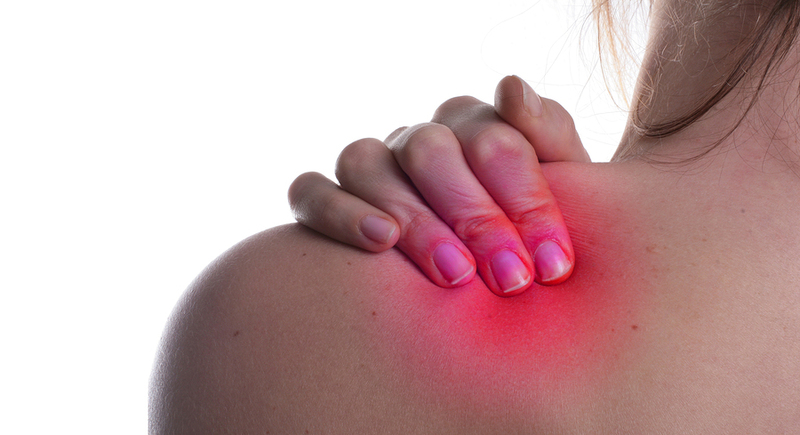 The very first thing you should be doing when you start feeling any shoulder pain? Book a session with your local physiotherapist. For starters, we can properly diagnose your frozen shoulder. As we touched on earlier, many cases of frozen shoulder are unintentionally attributed to overuse or rotator cuff injury, leading to people with frozen shoulders being prescribed the wrong treatments. Even during the earlier stages of frozen shoulder however, a physiotherapist can help in ways other than physical treatment. At Physio AUS, we have a unique approach to physiotherapy. We go beyond the standard treatments like massage and strength-building exercises to minimise your pain. We have some expert physios with an array of treatment tools they can draw from to treat your frozen shoulder. Our physios can help get you on the way to recovery and if they think you need a referral for treatments such as cortisone or hydrodilitation, they can send you to the doctor conveniently located just up the hall. Need an Elwood physio? Look no further than Physio AUS! Physio AUS is an Elwood physio that focuses on one thing: getting you back to pain-free movement. Located in the Medical One building on Brighton Road, we’re experts in all types of musculoskeletal pain. Sick of chronic shoulder pain impacting your day-to-day life? Visit our Elwood physio today – click here to book your Breakthrough physio session!